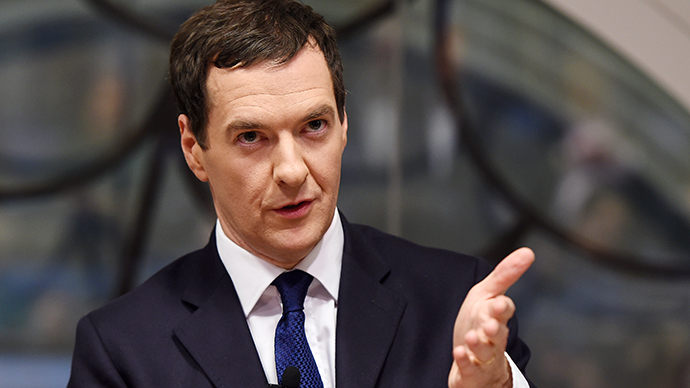 The Institute for Fiscal Studies (IFS) says the worst of the UK's austerity drive is yet to come. In its annual Green Budget, the think tank said the UK’s finances still have “a long way to go” in order to recover from the financial crisis. Speaking in December's Autumn Statement, Chancellor George Osborne said government departments faced cuts in real terms of £51.4 billion (14.1 percent) from 2015 to 2019. Cuts in the current parliament are expected to reach £38.3 billion, or 9.5 percent. In its annual Green Budget report the IFS said the planned “fiscal consolidation” in the UK was the largest out of 32 advanced worldwide economies. IFS director Paul Johnson said UK public finances had a “long way to go” and accused Osborne of failing to deliver on deficit reduction plans. “He deliberately allowed the forecast deficit to rise as growth undershot in the early years of the Parliament,” said Johnson. “He has not cut spending in real terms as much as planned, as inflation has undershot. And he has cut departmental investment spending by only half as much as he originally planned. “One result is that he or his successor will still have a lot of fiscal work to do over the course of the next Parliament. The IFS said 98 percent of the remaining consolidation will come from spending cuts rather than tax rises. The report added that protecting health, schools and overseas aid would double cuts in other departments. The governing Conservative Party would need to reduce departmental spending after 2015/16 by 6.7 percent (£24.9 billion). Labour and the Liberal Democrats would have to impose departmental spending cuts of 1.4 percent (£5.2 billion) and 2.1 percent (£7.9 billion) respectively to meet their fiscal targets and tax and benefit policy. The IFS’s Green Budget highlights the central economic decision voters are facing in May’s general election: bigger cuts with a Tory-led government or higher public sector debt with a Labour government. “Labour will make sensible spending cuts in non-protected areas, but we will also reverse David Cameron's £3 billion tax cut for the top 1 percent of earners,” he pledged.